If you are looking for information on the Martinizing franchise business opportunity, Martinizing Dry Cleaning franchises or One Hour Martinizing Dry Cleaning franchising, then you have come to the right place. Owning a franchise combines your entrepreneurial dream with the resources, experience, and knowledge of a major player in the industry. With Martinizing, you're teaming up with a veteran -- an experienced franchisor with a strong history of franchise development and support. We provide excellent training, operating procedures, marketing programs, site selection expertise, and other support services. And with a franchise, your fellow franchisees support you and your business by providing advice, new ideas, and a true feeling of camaraderie. Today, there are more two-career families than ever before, and as a result there is a greater need for professional dry cleaning services. With less time and greater disposable income, working men and women are paying more for garment care to preserve their wardrobes and make them look their best. Martinizing pioneered one hour, on-premise cleaning, providing franchisees with the most efficient cleaning procedures available. 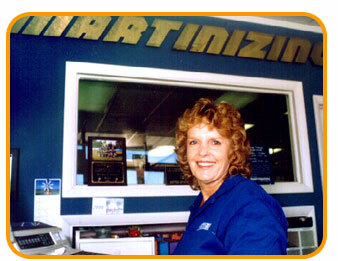 Martinizing is THE MOST RECOGNIZED NAME IN DRY CLEANING. When you own our franchise, you benefit from that name recognition, which helps build your business. 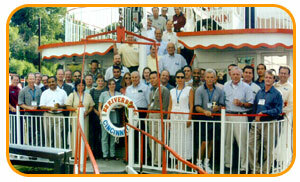 Martinizing has been and continues to be the leading dry cleaning franchise in the industry. We've built a track record of helping our franchisees grow their businesses. The Martinizing name is displayed on over 600 businesses worldwide. We get you started and provide ongoing support regardless of where you're located or what challenges you face. Our highly experienced site selection team knows "location, location, location" is important for business success, and will help you find a location for your new business. You'll receive the training and tools to help you deliver premier services "beyond the standard." Your five-part training program teaches you marketing, technical, financial, management, and service skills - a complete package of essential tools. And our toll-free hotline gives you access to immediate professional assistance whenever you need it. A Martinizing franchise is affordable, and unlike most businesses requires no inventory!